There's finally something good about Mondays! CBS's Big Bang Theory has moved to Monday nights, and tonight was the start of the new season! What a better way to celebrate the premier of one of my favorite shows but with some "fashionably Soft Kitty" nails! To create this look I used Maybelline's "Fashionably S-late" and "Sing Soft Kitty" from LynBDesigns. 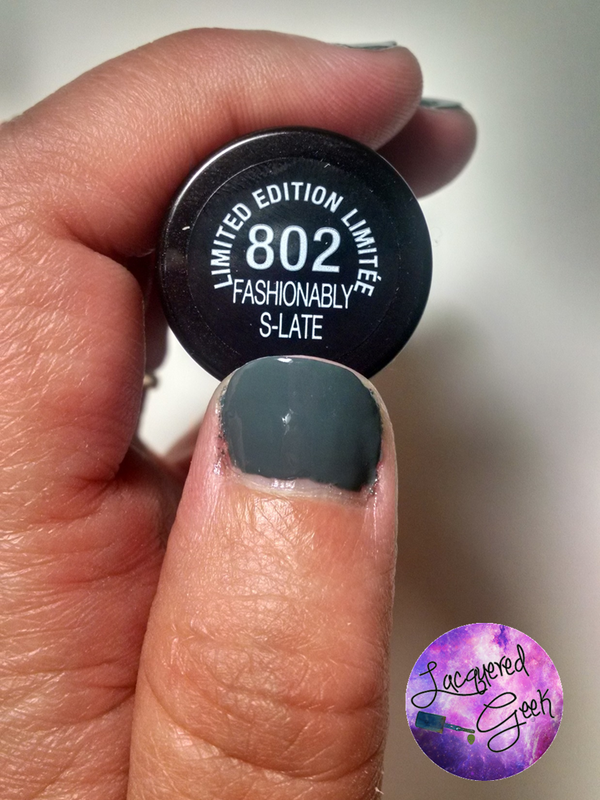 For my base, I used Maybelline's "Fashionably S-late" - one of the LE's from the Fall 2014 Fashion Rocks collection. I spotted the display at CVS the other week, and even though most of the polishes were not new, there were a couple nice LEs. Fashionably S-late is a basic slate gray creme. 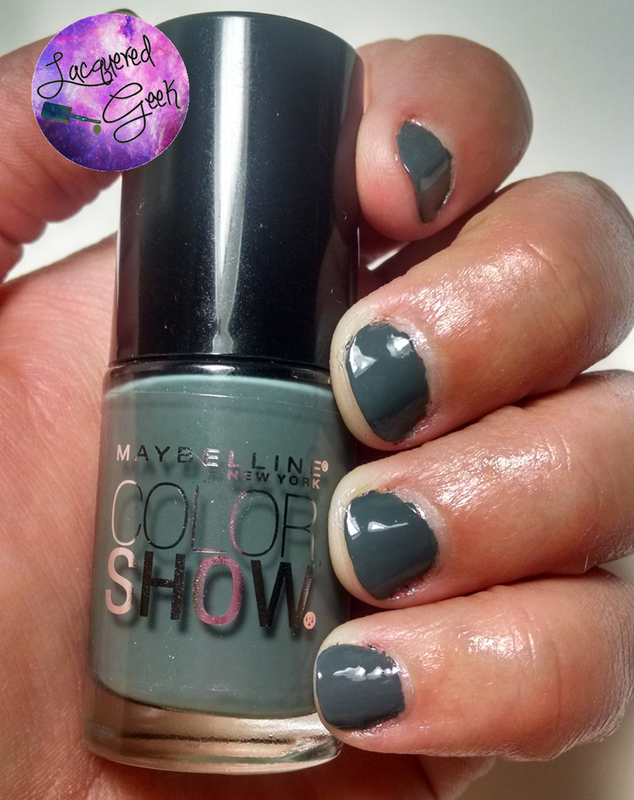 I have a fair number of gray polishes but none quite this shade. The formula was pretty much spot-on - went on very smoothly. I did 2 coats; although you could get by with just one if you're careful. The downside to the polish has to be the brush! It's so small and awkward to use! 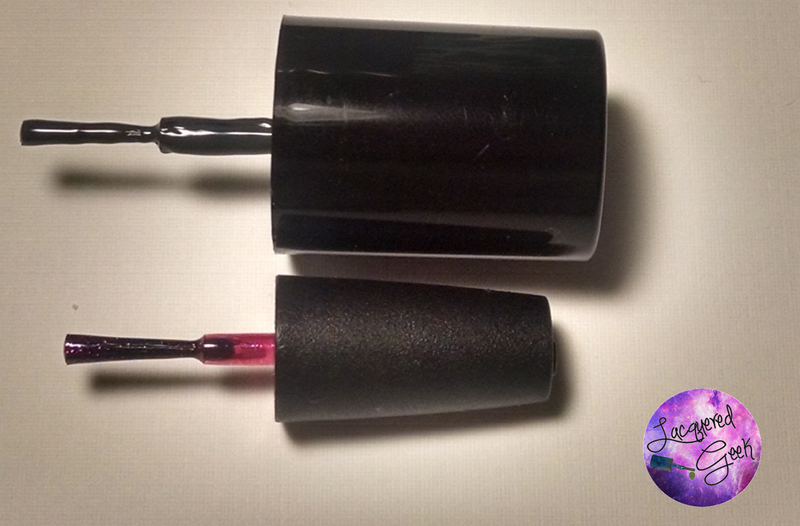 It's seriously almost as small as some of the OPI mini brushes. Here it is compared to one. 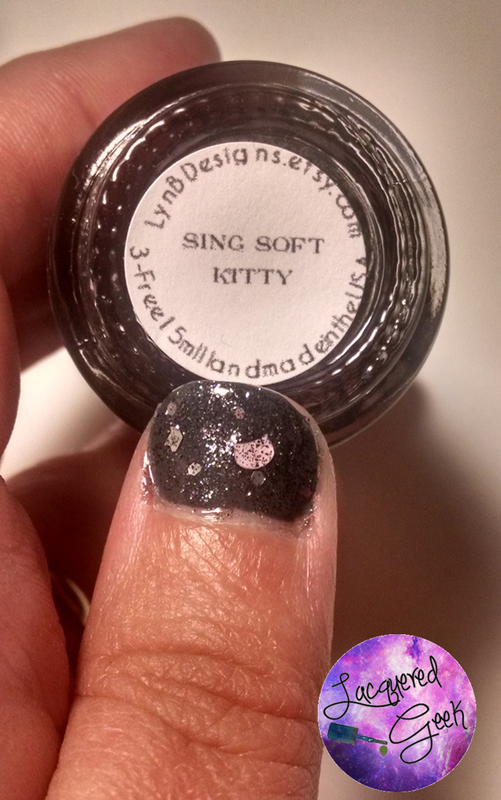 I topped my nails with "Sing Soft Kitty" from LynBDesigns's The Roommate Agreement Collection. 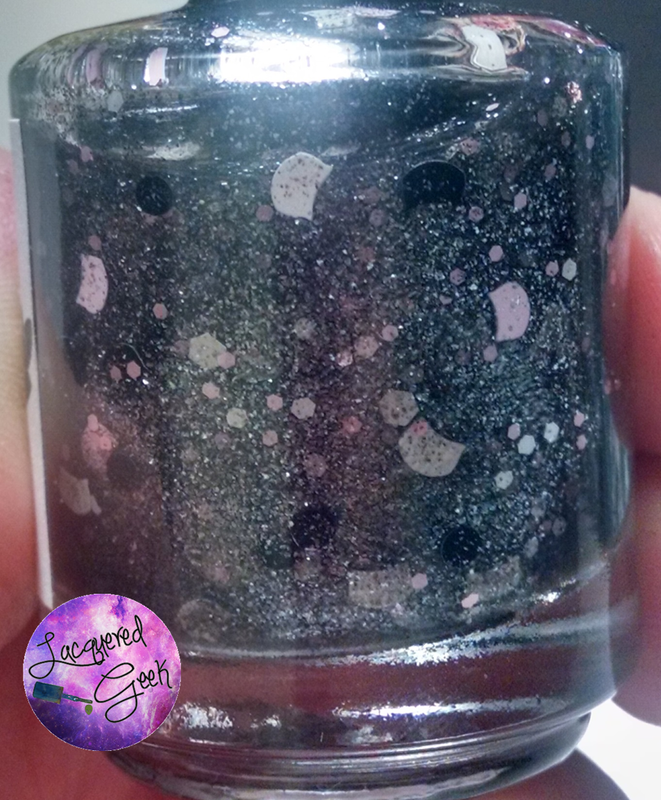 I seriously squealed when I saw this polish for the first time. CAT GLITTER! That's right; I said it - CAT glitter!! Look at these little kitty heads! 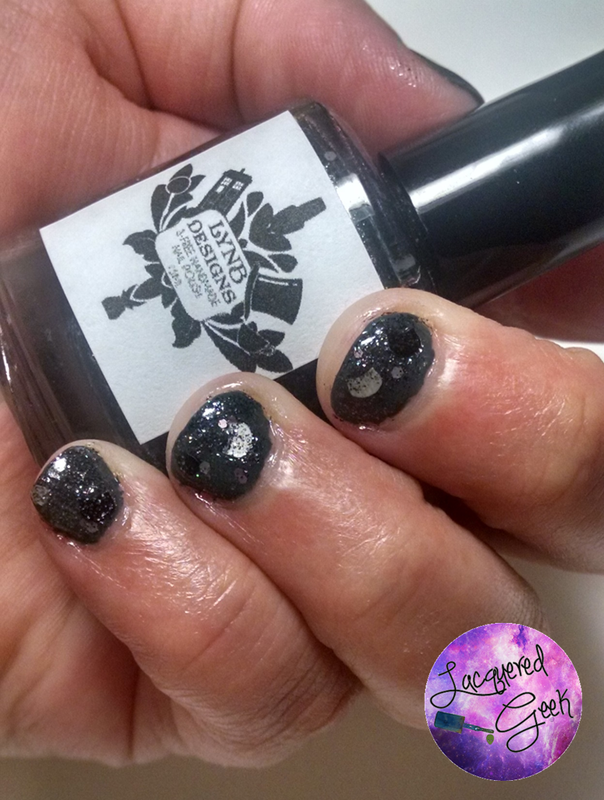 LynBDesigns were some of the first polishes that I bought when I got into Indies. The quality of the polishes was great back then, and it keeps getting better with each collection. I had no problem getting the kitty glitters out of the bottle. I did do a little placement of them so that they weren't overlapping. With smaller nails, I found that only one or two kitty heads were needed. 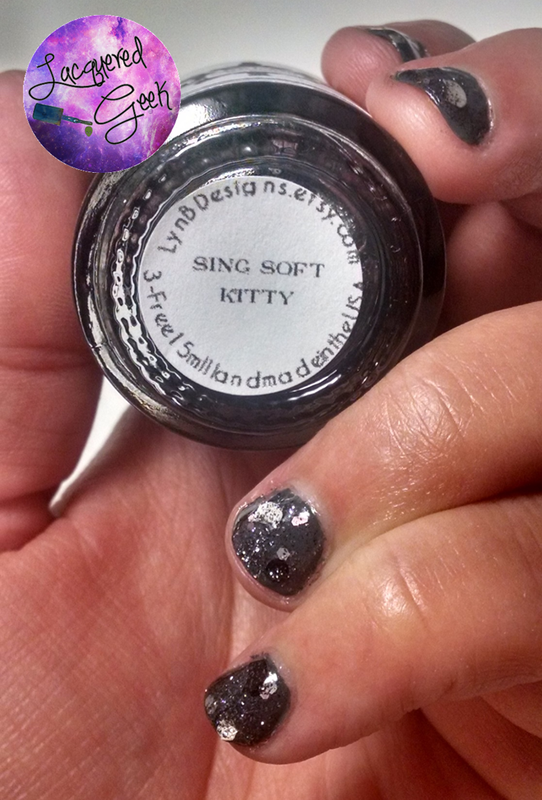 "Sing Soft Kitty" is available now from LynBDesign's Etsy shop. Be sure to follow her Facebook page because she often has great promo codes!